Nursing mom Carolina Bescansa attracted a lot of attention by bringing her baby to work and breastfeeding while she was at her job. 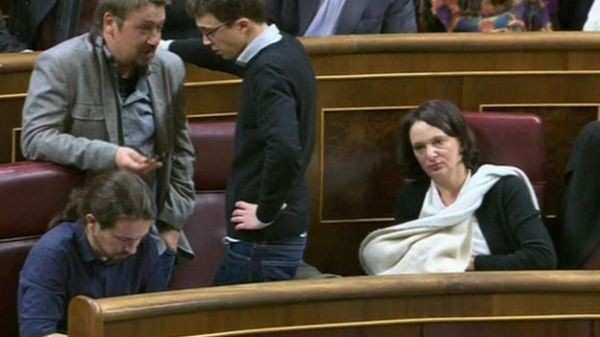 Bescansa is a Spanish MP in the Podemos (We Can) Party within parliament, which recently had its first session since an unproductive general election in December. Bescansa had previously stated she intended to breastfeed while campaigning for speaker. She spoke further on the topic this week. Spanish news agency Efe reported that Bescansa stands up for the right of every parent to raise their child(ren) in whatever way “they are able to or wish to” and she has also stated that she feels “privileged” to not be separated from her son since he was born. Critics are voicing their opinions about her actions. Acting Interior Minister Jorge Fernandez Diaz calls the move “lamentable”. What do you think? Should a legislator bring her baby to sessions? Building Confidence when Making Mom "Decisions"